The beating heart of our endeavor is our Dove Collection. These designs are created for times of heartbreak or challenge, when others feel the most isolated, sad, or hopeless. Loss, grief, illness, separation, difficult change, and other struggles are a part of our everyday lives. Yet, these are very difficult to acknowledge without feeling unsure how to do or say the ‘right’ thing. Let us use empathy and elegance to help you bring comfort to the person that you are thinking of. 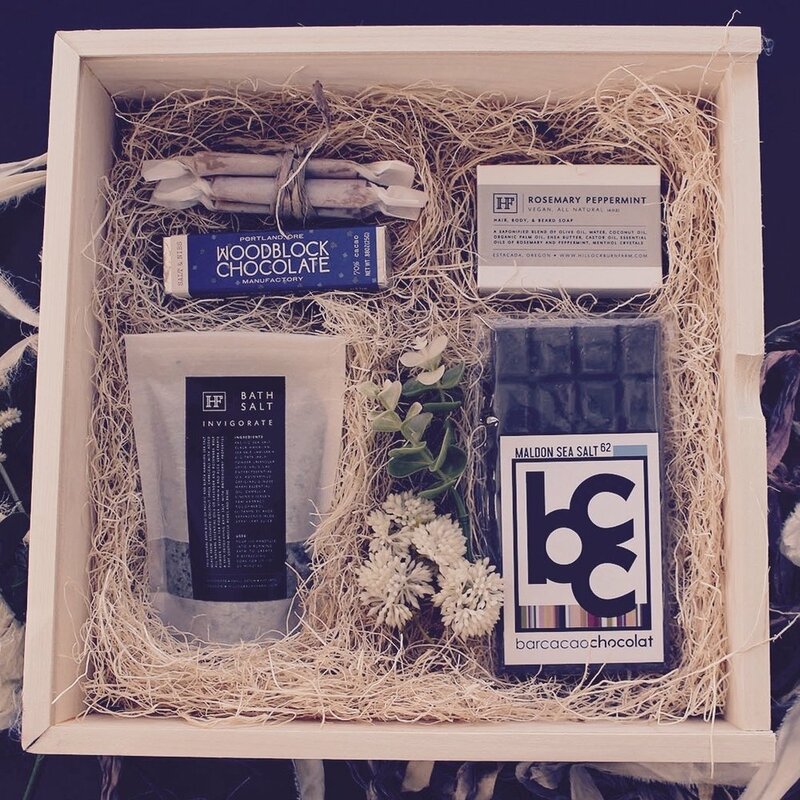 Our Blue Heron gift boxes are a soothing and thoughtful combination of items like comforting caramels, beautiful amethyst clusters, or scents of lavender, sage, or palo santo, complete with fresh floral. White Ibis gift box options offer the patient or caregiver sensory comforts such as vibrant succulents, comforting tea or awakening coffee, or cleansing natural soaps or bath salts. Deliveries to local hospitals are available and products are adapted to any restrictions in a room. Our Great Egret gift boxes offer soothing and refreshing bath and body products, relaxing candles, or indulgent caramels and chocolate.